In “Apricot,” Brighton’s Underwater Boys bring together falsettos, harmonies, and a traditional rock and roll spirit, while detailing the fear of hurting someone you love. Very few songs today start with a promise of greatness. There’s the beat of a drum, and suddenly the guitar and harmonised vocals flood your ears. A handful of seconds in, and you’re convinced this song was made to be performed at stadiums. 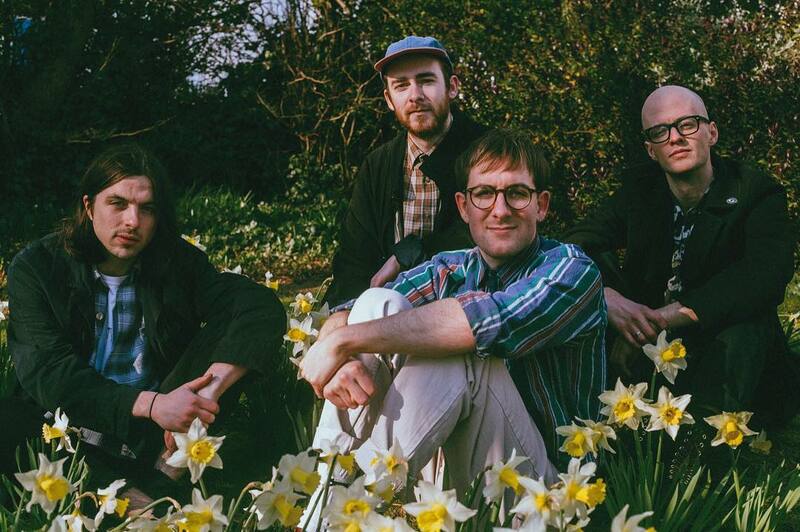 That’s the case with “Apricot,” the latest offering from Brighton band Underwater Boys. “Apricot” is as much a rock song as it is a pop song, and it is as delicate as it is hard-hitting. 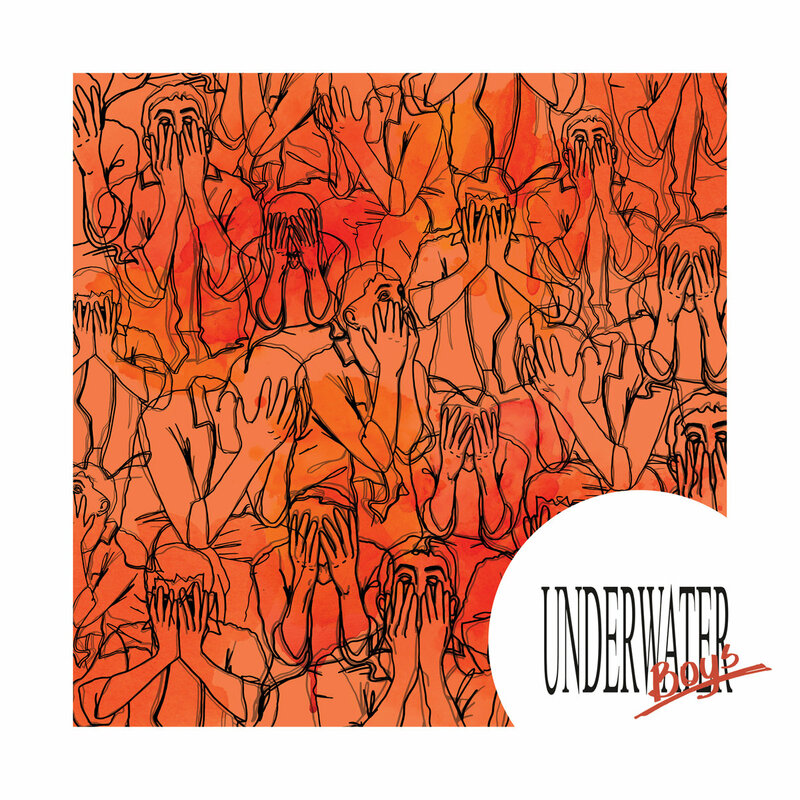 You don’t expect very high falsettos and endless harmonies to be paired with a rhythm guitar tone that is more reminiscent of Aerosmith than The Beach Boys, but alas, Underwater Boys bring these together effortlessly. The strum of each chord and the time in between them give the song time to breathe and make sure it floats, filling every corner of an empty room. This anxiety fits like a glove. Then let’s make sure we’re both OK.
Klar opens the song dealing with several different emotions. He’s hoping for a better outlook on life, not living up to his own (and his partner’s) expectations in his relationship, and scared to break someone’s heart, especially someone who’s offering him unwavering loyalty and love. It’s a juggling act, and he doesn’t know what he should deal with first. You need someone strong, I’m not that guy. On the next verse, he grapples with loving his partner but also knowing he might not be the best match for them. They once were happy, the world loved them and they loved the world, but now he can’t give what his partner needs in order for them to be happy. He knows he’s causing someone else pain, but also loves this person and the burden of hurting them is weighing on him. So let’s just sit and watch the show. A guitar solo fit for the classic rock and roll bands from the 70s comes in, adding a different flair and strength to the song. By the end of “Apricot”, Klar has accepted that regardless of the circumstances, he won’t let go of this relationship so easily, and so decides to “watch the show”, an expression that suggests he’s more relaxed than he was at the beginning of the song. For now, he’ll take it day by day and see how that goes. The idea of pain still lingers in the back of his mind, though, when the song ends with the line “I just can’t help but make you cry” being repeated over and over again, haunting him, until it fades away. “Apricot” follows Underwater Boys’ two very well-received and popular singles, “Everyone You Know” and “Bye & Bye,” released last year. Incredibly, all three are equally as great, with “Apricot” counteracting the stronger bass lines and darker tones of the previous singles and showing us a more rock-leaning, guitar-heavy, but lighter, side of the band. The new single just adds to the excitement surrounding Underwater Boys, who have successfully shown us their identity and diversity, and made us fall in love with them, with only three songs. Feel free to add Underwater Boys to your list of artists to watch this year, because they’re certainly only just beginning to show us what they’re made of.